Over 300 industry powerhouses from GCC, Asia, Africa and Europe are expected to converge at the two-day forum, that will also feature an exclusive report launch by Milliman. 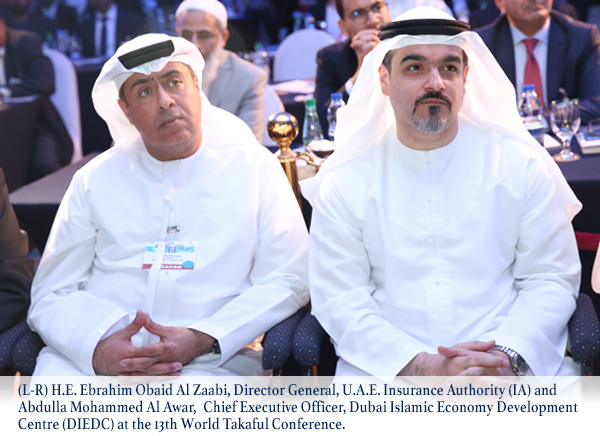 Middle East Global Advisors, a leading financial intelligence platform facilitating the development of knowledge-based economies in the MENASEA markets, will convene the 14th edition of their annual offering – The World Takaful & InsurTech Conference (WTIC), in strategic partnership with the Dubai International Financial Centre Authority and supported by the UAE Insurance Authority (IA) and the Dubai Islamic Economy Development Centre (DIEDC) on April 01st & 02nd in Dubai, UAE. The two-day long forum will take place at Address Dubai Mall Hotel. Key industry veterans from leading corporates, banks and regulatory bodies will headline the forum and impart valuable insights on a host of central themes affecting the Takaful and Insurance Innovations industry at large. Confirmed speakers include: Zia Zaman, Chief Executive Officer, LumenLab & Chief Innovation Officer, MetLife Asia; Reena Vivek, Chief Operating Officer, Zurich International; Mark Cooper, General Representative Middle East & Director, Lloyd’s Limited; Puan Nurul Izza Idris, Deputy Director, Islamic Banking & Takaful Department, Bank Negara Malaysia; Mohamed M. Shamsi, Head – Conventional Insurance & Reinsurance Firms, Insurance Supervision Directorate, Central Bank of Bahrain; Fatou Assah, Program Manager, Finance, Competitiveness & Innovation, World Bank; Sager Nadershah, Managing Director, Aljazira Takaful; Osama Abdeen, Chief Executive Officer, Abu Dhabi National Takaful Company P.S.C; Dave Matcham, Chief Executive, International Underwriting Association of London (IUA); Peter Hodgins, Partner, Clyde & Co; Parvaiz Siddiq, Chief Executive Officer, SALAMA Islamic Arab Insurance Co; Dr. Muhammad Al-Bashir Muhammad Al-Amine, Shari’ah Advisor, Islamic Corporation for the Development of the Private Sector - Islamic Development Bank; Michele Grosso, Co-Founder & Chief Executive Officer, Democrance; Ayman El Hout, Country CEO, Marsh Emirates Insurance; Nor Azman Zainal, Chief Executive Officer, Prudential BSN Takaful, & Sedick Isaacs, Head: Business Support Service, Bryte Insurance Company Limited, A Fairfax Company, among other key speakers.